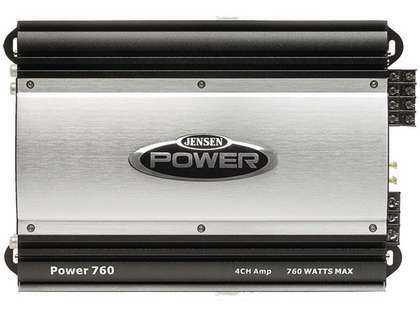 The Jensen POWER760 4-Channel Amplifier will stretch your sound muscles. 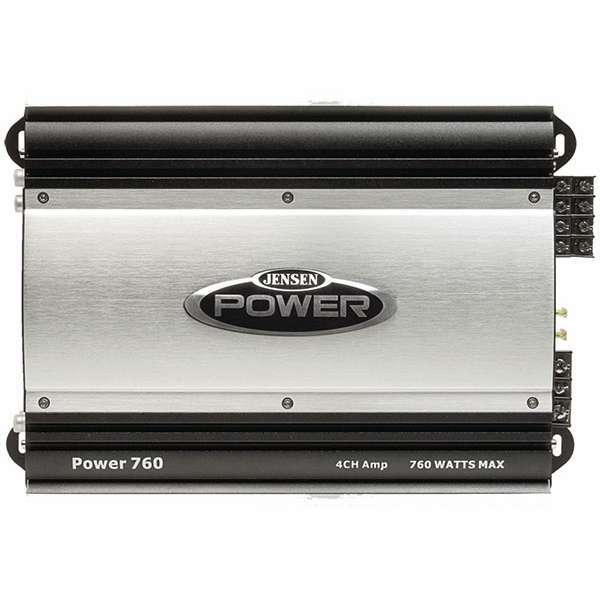 It tops out at 760W of peak power, has a protection circuit that safeguards against short circuits, DC offset and thermal overload, a channel mode selector which allows you to switch from 4, 3 or 2. It's time to include this audio 4 channel amplifier in your sound system.